* Sorry! This event is being rescheduled. This one-day symposium was added because of the demand for high-quality and practical training on curriculum and instruction. Dr. John Crain has been a lead presenter on alignment, instruction, and assessment. 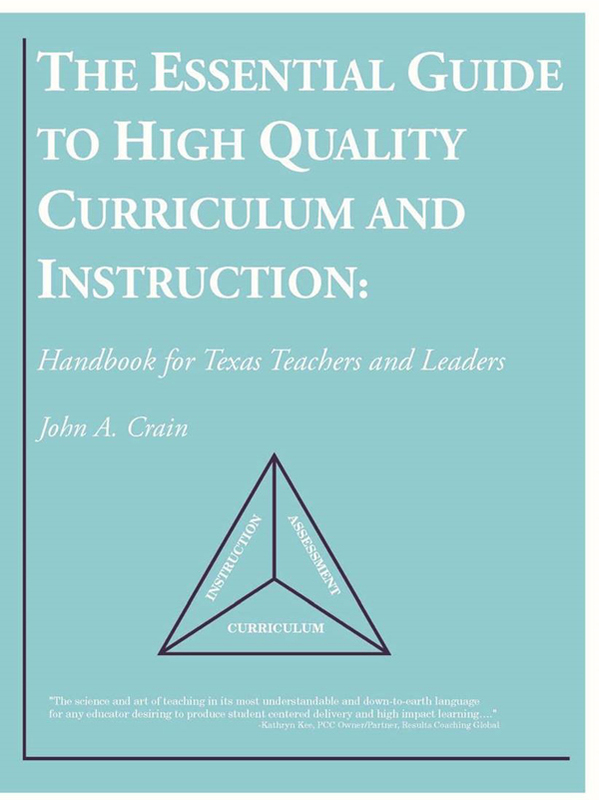 Using the research from his newly-published book, The Essential Guide to High-Quality Curriculum and Instruction: Handbook for Texas Teachers and Leaders, Dr. Crain will hit the nuts and bolts of his findings. Every attendee will receive a copy of the book with paid-in-full registration. Be sure to pay for your registration when you sign-up online and/or bring a check with you to the symposium. Who should attend this symposium? ALL educators. All professors of education. Curriculum Directors. Superintendents. Principals. Assistant/Associate/Aspiring Principals. Teachers. Instructional specialists. TEA Directors. Consultants. Register now for this new and exciting event with one of our favorite presenters.